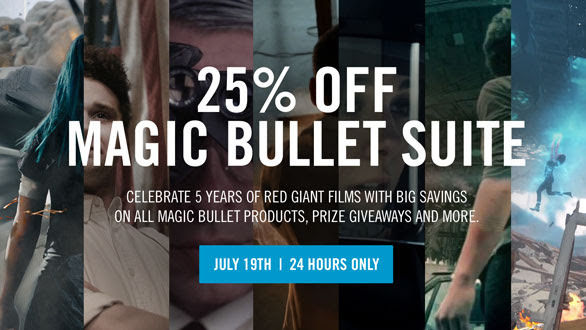 In celebration of the 5 year landmark for Red Giant films, for 1 day only you can nab some great deals on either Magic Bullet Suite or any individual tools found within it. Sale Starts: Tuesday, 7/19/16 at 08:00 AM CET. Sales ends: Wednesday, 7/20/16 at 08:00 AM CET.